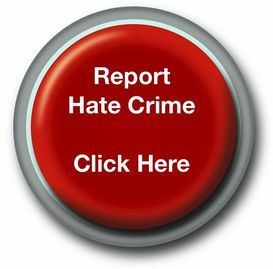 The online reporting facility has been developed so that you can report hate crimes online, if you do not want to report directly to the police. 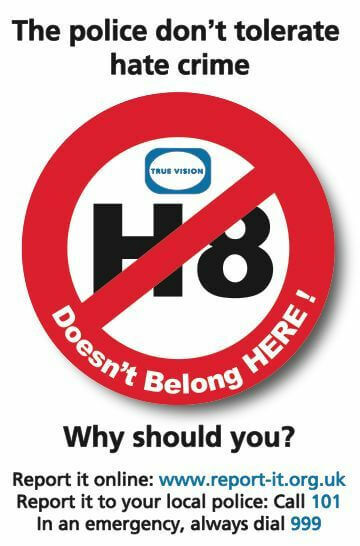 The police take hate crime very seriously and will record and investigate this offence even if you do not want to give your details. However, you must note that the investigation and ability to prosecute the offender(s) is severely limited if the police cannot contact you. To report a hate crime - please select the county/area where the crime happened from the drop down list below and you will be taken to the correct reporting form. You can use the postcode search at www.police.uk to check the name of your local area. In the above circumstances, we would urge you to call 999 and the police will respond immediately. This document has been prepared by our partners who are charaties that support victms. It has lots of information to let victims know about the support available and what happens after a crime is reported.